How does a 62-year-old woman who's never been married find happiness with a two-time widower seeking his third wife on . . . Craigslist!? To win a copy of Never Too Late, please enter using the Rafflecopter form at the bottom of this post. The giveaway ends Sunday, February 4th at 11:59 PM EST. We will announce the next day on the Rafflecopter widget. Good luck! WOW: First of all, congratulations on your book Never Too Late! What inspired you to write this book about your marriage? Lynn: My husband and I both knew our story was unique from our second date—right after breakfast when we sat in the parking lot and . . . I think the scene is in Chapter 3. I’d given up all hope of ever getting married, and I thought there must be other women out there in the position. Then I answered this amazing ad on Craigslist (Preface and Chapter 1). Richard was different from any man I’d ever dated. He was much more open and honest. He knew what he wanted. Although I was much less certain, I loved being pursued. WOW: Oh I love unique romances! And I can understand the love of being pursued as well. So, what are some tips you have for people who want to write a memoir about their personal experiences? Lynn: Draft without hesitation. Spill everything out. Spare nothing. Edit later. Keep writing. If you remember details, feel free to put them in, but don’t get stuck in editing until you reach an ending. Write to tell a story—not to hurt others. Leave the revenge statements in your journal and present all your characters in a balanced way. Conflicts will be inherent if you do that. Write to share your life experience and how you grew. WOW: That is fantastic advice! I love the advice to not get stuck in editing. Well, you obviously have the incredible ability to manage multiple writing projects and responsibilities at once. How did you find the time to write this book? What advice do you have for people who struggle with time management? o Plan ahead so you can draft, put it away, and take another look 48 hours later. Frankly, I also struggle with time management, especially if I am on Facebook or in e-mail. So I stay out of those two when I’m writing or concentrating on a project. I also take breaks and do dishes, move laundry, or walk the dog . . . or veg in front of a TV rerun. I go back to work as soon as the commercials come on. WOW: I confess - Facebook is my primary distraction! How does teaching and consulting about writing help you with your own writing? Lynn: As I write my comments and suggestions, explaining why one choice might work better than another, I solidify why processes in my mind. When I see a student using beautiful images, I take a closer look at whether it’s vocabulary choices or juxtaposition of words that make the images pop. As I hear about problems with writing, I offer advice and use it on myself when I get stuck. Every time I make up an exercise for someone else’s character, I know that’s available to me too. Best of all, when I see students improve and they appreciate my help, they also validate my work. Drives my Judgement Gremlins crazy. WOW: Ha! I love that - "Judgement Gremlin" - I have a few of those too! So, I love the message of this book that is perfectly summarized with the title – Never Too Late. What advice would you give to people who maybe haven’t met the love of their life yet and are worried it’s going to be too late for them? o What do you really want? o What can you do to get it? o What is in your way? o BONUS QUESTION: Are you sure that’s what you want? How do you know? I wanted companionship. I also wanted to know I was loved and trusted. I could respond to ads, and I could have done more. In fact I did, but you have to read the book to get the whole story. Maybe a combination of fear and pride were in the way, but if you’d asked me in 2011, I would have said it was my looks. Once again, you have to read the book to learn more. WOW: I have to say, you are an inspiration! So, in 2016, we did a book tour for you for your fiction book Talent. Will we be seeing any new fiction featuring your main character Sandee you any time soon? Lynn: Maybe. She talks to me from time to time in her imperative, high school voice. (Writers will know what I mean—this is not a call to be 5150ed.) She holds a very special place in my heart and there are new characters that want to meet her and be a part of her life. So maybe. WOW: Who do you hope reads Never Too Late and what do you want them to take away from the book? How I hope you’ll read my book. There’s so much in it for you. Take away a sense of adventure. Take away an open mind. Be willing to open yourself up to new things and new people. Take away how-to tips—whether it’s how to ask hard questions or how to handle money, demands, and increasing intimacy. Take away proof that there is someone for everyone. Just be aware. o Whether you’re unmarried, separated, divorced, thinking about leaving your partner, or your relationships break up every time, this book has something for you. o Trapped in an unhappy marriage? This book is for you. o Afraid of the truth? Read the book. o Curious about what love will be like in your sixties (and beyond)? Definitely read the book. o If you get your book club to read it, maybe I can visit by Skype. Or members can send me questions and read my answers at the meeting. Writing the book gave me an unexpected freedom. The truth is out there and I’m more than willing to share it. B. Lynn Goodwin will be a guest blogger over at Mari's #WriteOn Journaling Blog talking about, "The Power of Honesty." Sara over at the blog Polkadots and Plaid will be sharing her insights and feedback about B. Lynn Goodwin's book. Stephanie Cummings over at her blog Miss Harley Rose will be reviewing B. Lynn Goodwin's book Never Too Late. Crystal J. Casavant-Otto will be sharing her thoughts about B. Lynn Goodwin's book Never Too Late. Nicole Pyles will be reviewing and sharing her insights about Never Too Late over at her blog. B. Lynn Goodwin will be a guest blogger at Margo L. Dill's blog on the subject of never giving up! Make sure you read "You Don't Lose Until You Quit Trying." 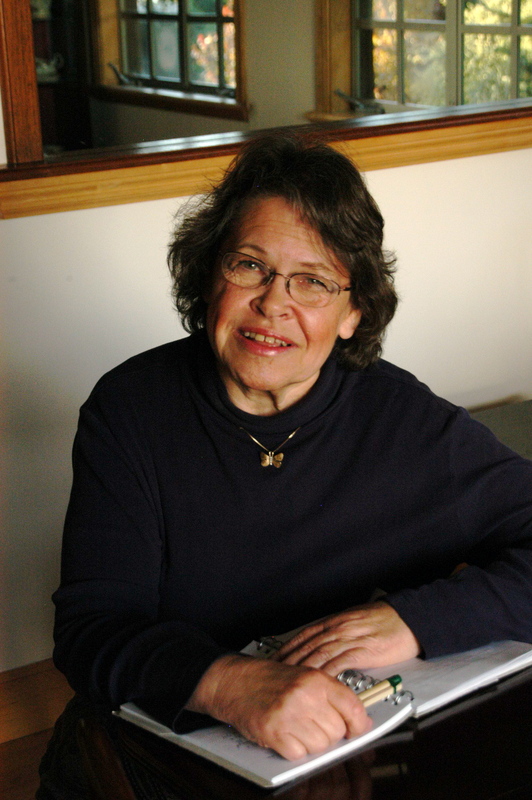 B. Lynn Goodwin will be a guest blogger over at the Bookworm blog talking about "The Importance of Telling Your Story." 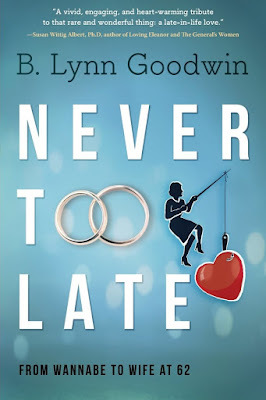 Lena over at Happily Ever Adventures will be sharing her thoughts about B. Lynn Goodwin's book Never Too Late in her monthly book round up. If you have love on your mind this February, make sure you catch B. Lynn Goodwin's guest post over at blogger Making LOL called, "Finding Love." February 8th @ Mommy Daze: Say What??? B. Lynn Goodwin will be talking about, "How to Start a Story You are Afraid to Tell" over at Mommy Daze: Say What??? to inspire us all to write our own story. Make sure you check out B. Lynn Goodwin's guest post about, "Compromise and Acceptance." An important lesson for us all! Anjanette over her blog Bookworm will be reviewing B. Lynn Goodwin's book Never Too Late as well as interviewing the author. B. Lynn Goodwin will be visiting Madeline Sharples blog and discussing one of my favorite activities in her post, "Need a Venting Partner? Try a Journal." Blogger Beverly A. Baird will be reading and reviewing B. Lynn Goodwin's book Never Too Late and sharing her thoughts with us. Come by and check out the review of Never Too Late at Bookends Review. February 15th @ Mommy Daze: Say What??? Ashley Bass over at Mommy Daze: Say What??? will be sharing her thoughts about Never Too Late. Rev. Linda Neas will be reading and reviewing Never Too Late and be sure to check out her insights on this amazing book. Make sure to come by the blog Memoir Writer's Journey and read about Lynn's insight in her post, "The Authentic Writer." Also, blogger Kathleen Pooler will be reviewing Never Too Late as well. Visit the blog Strength4Spouses to catch Lynn's post called, "Craigslist Dating." Nancy Cramer, yoga lover and retired schoolteacher, will be sharing her thoughts about Never Too Late on the blog, Bring on Lemons. Make sure to catch Cecilia over at Food Diary of a City Girl and her thoughts about the book Never Too Late. Make sure you come by the Strength4Spouses blog to catch their insights into Lynn's book Never Too Late. Shell LeBlanc will be telling us about what she thought about the book Never Too Late. Enter to win a copy of Never Too Late by B. Lynn Goodwin! Just fill out the Rafflecopter form below. We will announce the winner in the Rafflecopter widget on Sunday, February 4th! Great interview ladies; this book is great! Thanks so much Crystal and Angela. And of course, Nicole. I sold a book yesterday to a woman who wrote me this morning to say, "I’m loving your book. I’m on chapter 6 already don’t want to put it down but I need to go to work can’t wait to come home to pick it up in start again." Great interview. What a talented lady and how encouraging of others. This looks like a fun book! It would really make a great beach read. I love the interview you had, it's neat to hear about real life stories in this formet. Thanks for talking about the book! Thank you to Adisha, Sharon, and Jasmine. Jasmine, happy to talk about my book(s) and writing services time and any place. Adisha, anyone who calls me talented gets Karma points in my book. I'd love to have you all repost on your blogs! Loving the interview. Great information to keep. Thank you! Looks like a great read! Thanks so much for this! I loved reading this interview and I think the author is beautiful both inside and out! I like mysteries and suspenseful books.